In addition to the above vessels, the Border Force possess five cutters. ^ Rose, Lisle Abbott. Power at Sea: The Breaking Storm, 1919–1945, University of Missouri Press, 2006, page 36. ^ Hyde-Price, Adrian. European Security in the Twenty-First Century: The Challenge of Multipolarity. London: Routledge. 2007: 105–106. ISBN 1134164408. Professor of International Politics, Adrian Hyde-Price, highlights that in the post-Cold War era both Britain and France have re-focused their attention "towards expeditionary warfare and power projection. Power projection has always been an element of British and French military thinking given their residual over seas interests, but it has now moved centre stage." ^ The Royal Navy: Britain’s Trident for a Global Agenda. Henry Jackson Society. 4 November 2006 [4 November 2006]. （原始内容存档于2016-09-11）. Britannia, with her shield and trident, is the very symbol, not only of the Royal Navy, but also of British global power. In the last instance, the Royal Navy is the United Kingdom's greatest strategic asset and instrument. As the only other 'blue-water' navy other than those of France and the United States, its ballistic missile submarines carry the nation's nuclear deterrent and its aircraft carriers and escorting naval squadrons supply London with a deep oceanic power projection capability, which enables Britain to maintain a 'forward presence' globally, and the ability to influence events tactically throughout the world. ^ Getting ship shape: IfM develops a fleet management tool for the Royal Navy 页面存档备份，存于互联网档案馆, University of Cambridge. ^ Beatson, Robert. Naval and Military Memoirs of Great Britain, from 1727 to 1783, London, 1804, Vol III, Appendix pp.25–27. Browning, Reed. The War of the Austrian Succession St. Martin's Press, New York, (1993), p. 60, Browning gives a total overall strength as perhaps 30,000 men. ^ Coxe, William. Memoirs of the kings of Spain of the House of Bourbon, Volume 3, London 1815. Coxe also gives the overall loss of the expedition during the campaign as 20,000 lives lost, Reed Browning considers this "not implausible". p. 382. ^ Staff. English and American Navies. New York Herald (reprint appearing in The Olney Times). 6 January 1859 [22 August 2015]. （原始内容存档于2016-08-27） –通过Newspapers.com. 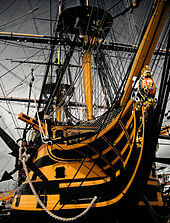 ^ A Brief History of Piracy | Online Information Bank | Research Collections | Royal Naval Museum at Portsmouth Historic Dockyard. Royalnavalmuseum.org. [28 December 2011]. （原始内容存档于2011-06-12）. ^ "Cardwell's Army Reforms 1870–1881 页面存档备份，存于互联网档案馆"
^ 1939 – Navy lists > 1913–1914, 1918–1920, 1939–1940 – Monthly – British Military lists – National Library of Scotland. digital.nls.uk. [21 February 2016]. （原始内容存档于2016-08-30）. ^ Royal Navy in 1939 and 1945. Naval-history.net. 8 September 1943 [28 December 2011]. （原始内容存档于2016-09-01）. ^ Baron, Scott; Wise, James E. Soldiers lost at sea: a chronicle of troopship disasters. Naval Institute Press. 2004: 100. ISBN 1-59114-966-5. ^ (339) – Navy lists > 1913–1921, 1944–1945 – Quarterly > 1945 > July > Volume 3 – British Military lists – National Library of Scotland. digital.nls.uk. [21 February 2016]. （原始内容存档于2016-09-08）. ^ HMS Dauntless (official webpage). royalnavy.mod.uk. Royal Navy. [2015-04-22]. （原始内容存档于2015-04-19）. ^ HMS Diamond (official webpage). royalnavy.mod.uk. Royal Navy. [2015-04-22]. （原始内容存档于2015-04-20）. 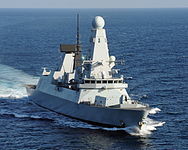 ^ HMS Defender (official webpage). royalnavy.mod.uk. Royal Navy. [2015-04-22]. （原始内容存档于2015-05-04）. ^ HMS Duncan (official webpage). royalnavy.mod.uk. Royal Navy. [2015-04-22]. （原始内容存档于2015-04-18）. ^ HMS Argyll (official webpage). royalnavy.mod.uk. Royal Navy. [2015-04-22]. （原始内容存档于2015-04-18）. ^ HMS Lancaster (official webpage). royalnavy.mod.uk. Royal Navy. [2015-04-22]. （原始内容存档于2015-04-18）. ^ HMS Iron Duke (official webpage). royalnavy.mod.uk. Royal Navy. [2015-04-22]. （原始内容存档于2015-04-28）. ^ HMS Montrose (official webpage). royalnavy.mod.uk. Royal Navy. [2015-04-22]. （原始内容存档于2015-05-07）. ^ HMS Westminster (official webpage). royalnavy.mod.uk. Royal Navy. [2015-04-22]. （原始内容存档于2015-05-14）. ^ HMS Northumberland (official webpage). royalnavy.mod.uk. Royal Navy. [2015-04-22]. （原始内容存档于2015-04-18）. ^ HMS Richmond (official webpage). royalnavy.mod.uk. Royal Navy. [2015-04-22]. （原始内容存档于2015-03-27）. ^ HMS Somerset (official webpage). royalnavy.mod.uk. Royal Navy. [2015-04-22]. （原始内容存档于2015-03-27）. ^ HMS Sutherland (official webpage). royalnavy.mod.uk. Royal Navy. [2015-04-22]. （原始内容存档于2015-05-14）. ^ HMS Kent (official webpage). royalnavy.mod.uk. Royal Navy. [2015-04-22]. （原始内容存档于2015-05-02）. ^ HMS Portland (official webpage). royalnavy.mod.uk. Royal Navy. [2015-04-22]. （原始内容存档于2015-04-18）. ^ HMS Mersey (official webpage). royalnavy.mod.uk. Royal Navy. [2015-04-22]. （原始内容存档于2015-05-02）. ^ HMS Severn (official webpage). royalnavy.mod.uk. Royal Navy. [2015-04-22]. （原始内容存档于2015-04-18）. ^ HMS Tyne (official webpage). royalnavy.mod.uk. Royal Navy. [2015-04-22]. （原始内容存档于2015-05-02）. ^ HMS Clyde (official webpage). royalnavy.mod.uk. Royal Navy. [2015-04-22]. （原始内容存档于2015-04-17）. ^ gov.uk MoD – regular personnel 页面存档备份，存于互联网档案馆, table 2-page 8. 1 January 2015. ^ gov.uk MoD – quarterly personnel report 页面存档备份，存于互联网档案馆, table 2-page 7. 1 January 2015. ^ dasa.mod – reserves and cadet strengths 页面存档备份，存于互联网档案馆, table 2-page 4. April 2012. ^ dasa.mod – reserves and cadet strengths 页面存档备份，存于互联网档案馆, table 2-page 12. See note 2. April 2013. ^ gov.uk MoD – reserves and cadet strengths 页面存档备份，存于互联网档案馆, table 2-page 11. April 2014. ^ Australia to buy used UK landing ship 页面存档备份，存于互联网档案馆. Sydney Morning Herald (6 April 2011). Retrieved on 18 September 2011. ^ Royal Navy unveils new Amphibious landing ships. MOD. 6 October 2006 [10 August 2007]. （原始内容存档于15 August 2007）. ^ Harding, Thomas. (4 February 2009) Harrier dispute between Navy and RAF chiefs sees Army 'marriage counsellor' called in 页面存档备份，存于互联网档案馆. Telegraph. Retrieved on 12 July 2013. ^ BAE to cut possibly more than 1,000 UK shipyard jobs. BBC. [5 November 2013]. （原始内容存档于2015-10-16）. ^ Fact Sheet 9: Carrier Strike (PDF). HM Government. 19 October 2010 [27 October 2010]. （原始内容存档 (PDF)于2012-08-17）. ^ NATO Summit 2014: PM end of summit press conference. Gov.uk. [23 November 2014]. （原始内容存档于2016-08-28）. ^ Royal Navy information. MOD. [10 August 2007]. （原始内容存档于14 August 2007）. ^ Type 45 Destroyer. BAE Systems. [2 November 2007]. （原始内容存档于15 October 2007）. ^ Grafton became Almirante Lynch, Marlborough became Almirante Condell, Norfolk became Almirante Cochrane Type 23 Duke class – Helicopter Database. helis.com. [23 March 2013]. （原始内容存档于2016-08-31）. ^ Strategic Defence and Security Review – Securing Britain in an Age of Uncertainty (PDF). Ministry of Defence. [1 July 2011]. （原始内容 (PDF)存档于22 December 2010）. ^ New offshore patrol vessels for Royal Navy. Ministry of Defence. 6 November 2013 [6 November 2013]. （原始内容存档于2016-08-27）. ^ First steel cut on new patrol ships. Ministry of Defence. 10 October 2014 [11 October 2014]. （原始内容存档于2016-08-27）. The first of the new OPVs will be named HMS Forth and is expected to be handed over to the Royal Navy in 2017. The second will be named HMS Medway and the third HMS Trent. ^ Royal Navy Submarine School. Royal Navy. 10 April 2012 [2 March 2016]. （原始内容存档于19 April 2012）. ^ Knight, Will. UK unveils plans for a new submarine fleet. New Scientist (Environment). 5 December 2006 [10 August 2007]. （原始内容存档于2008-07-09）. ^ Royal Navy to Get New Attack Submarine. Royal Navy. 21 May 2007 [10 October 2007]. （原始内容存档于9 October 2007）. ^ HMS Artful commissioned in Royal Navy ceremony. Yorkshire Post. 19 March 2016 [19 March 2016]. （原始内容存档于2016-03-31）. ^ 809 Air Squadron. Royal Navy. [23 November 2014]. （原始内容存档于2014-03-29）. ^ Royal Marines train in Californian desert. [23 November 2014]. （原始内容存档于2012-10-18）. ^ Royal Netherlands Marine Corps | Royal Navy. （原始内容存档于29 April 2012）. ^ New title for Duke of Edinburgh as he turns 90. BBC news (BBC). 10 June 2011 [10 June 2011]. （原始内容存档于2016-07-14）. ^ Senior Naval Staff. [23 November 2014]. （原始内容存档于2014-04-17）. 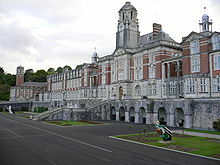 ^ HMNB Devonport. The Royal Navy. [18 October 2007]. （原始内容存档于17 October 2007）. 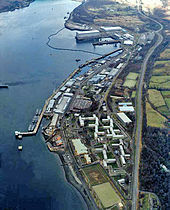 ^ Royal Navy Dockyards. National Maritime Museum. [10 August 2007]. （原始内容存档于2007-09-30）. ^ Vice-Admiral Sir Jeremy Blackham. The Royal Navy at the Brink (PDF). 1. Royal United Services Institute. 13 March 2007 [10 August 2007]. （原始内容 (PDF)存档于10 July 2007）. ^ Devonport 'secure' says minister. BBC. 25 July 2007 [10 August 2007]. ^ UK-Bahrain sign landmark defence agreement. Foreign & Commonwealth Office. 5 December 2014 [6 December 2014]. （原始内容存档于2014-12-09）. ^ UK to establish £15m permanent Mid East military base. BBC News. 6 December 2014 [6 December 2014]. （原始内容存档于2016-08-27）. ^ East of Suez, West from Helmand: British Expeditionary Force and the next SDSR (PDF). Oxford Research Group. December 2014 [22 May 2015]. （原始内容 (PDF)存档于2015-07-02）. Beatson, Robert. Naval and Military Memoirs of Great Britain, from 1727 to 1783 3. Strachan. 1790. OCLC 937652092. Brown, D. K.; Moore, George. Rebuilding the Royal Navy: Warship Design Since 1945. Seaforth. 2012. ISBN 9781848321502. Browning, Reed. The War of the Austrian Succession. St. Martin's Press. 1993. ISBN 9780312094836. Clodfelter, Michael. Warfare and Armed Conflicts: A Statistical Encyclopedia of Casualty and Other Figures, 1492–2015. McFarland & Co Inc. 2017. ISBN 9780786474707. Grimes, Shawn T. Strategy and War Planning in the British Navy, 1887–1918. Boydell. 2012. ISBN 9781846158179. Harding, Richard. 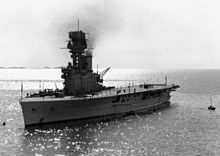 The Royal Navy 1930–2000: Innovation and Defence. Frank Cass. 2005. ISBN 9780203337684. Howard, David Armine. British Sea Power: How Britain Became Sovereign of the Seas. Carroll & Graf. 2003. ISBN 9780786712496. Hyde-Price, Adrian. European Security in the Twenty-First Century: The Challenge of Multipolarity. London: Routledge. 2007. ISBN 1134164408. Kennedy, Paul. The Rise and Fall of Great Powers. London: Fontana. 1989. ISBN 9780049090194. Nelson, Arthur. The Tudor navy: the ships, men and organisation, 1485–1603. Conway Maritime Press. 2001. ISBN 9780851777856. Potter, E. B. Sea Power: A Naval History. Naval Institute press. 1984. ISBN 9780870216077. Rodger, N.A.M. The Safeguard of the Sea: A Naval History of Britain, 660–1649 1. Harper Collins. 1997. ISBN 9780006388401. Rodger, N.A.M. The Command of the Ocean: A Naval History of Britain, 1649–1815 2. Penguin. 2004. ISBN 9780141026909. Rose, Lisle A. Power at Sea: The Breaking Storm, 1919–1945 2. University of Missouri Press. 2006. ISBN 9780826216946. Simms, Brendan. Three Victories and a Defeat: The Rise and Fall of the First British Empire. Penguin Books. 2008. ISBN 9780465013326. Sondhaus, Lawrence. 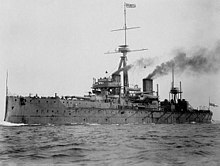 Naval Warfare, 1815–1914. New York: Routledge. 2001. ISBN 9780415214780. Stanton, Charles. 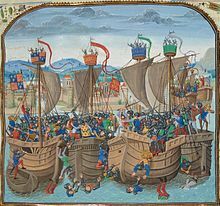 Medieval Maritime Wartime. South Yorkshire: Pen & Sword Maritime. 2015: 225–226. Willmott, H. P. The Last Century of Sea Power, Volume 1: From Port Arthur to Chanak, 1894–1922. Indiana University Press. 2009. ISBN 9780253352149. Willmott, H. P. The Last Century of Sea Power, Volume 2: From Washington to Tokyo, 1922–1945. Indiana University Press. 2010. ISBN 9780253353597. Wilson, Ben. Empire of the Deep: the rise and fall of the British Navy. Weidenfeld & Nicolson. 2013. ISBN 9780297864080. Winfield, R. British Warships of the Age of Sail 1714–1792: Design, Construction, Careers and Fates. Seaforth. 2007. ISBN 9781844157006. 英國水師考: 一卷, Volumes 38-48 By John Fryer, 鍾天緯, 張蔭桓 (鴻文書局), 1896.